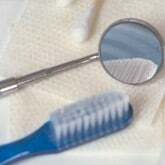 At DentalPlans.com, we make it simple for you to save money on Pedodontics and more at a Toms River dentist. Just type in your ZIP code now to access the discount dental plans and participating dentists in Toms River, NJ. Pick the best discount dental plan for you and your family to get deep discounts when you visit a participating dentist like Dr. Gabrielle Labato. Visit the dental office of Dr. Gabrielle Labato in Toms River and save money on Pedodontics and more. At DentalPlans.com, our discount dental plans start at only $79.95 per year and will offer you discounts on Pedodontics and other dental care services. By searching our large dentist directory, you can find a wide range of general dentists, oral surgeons, endodontists, and more! So if you are looking to save money on braces or cosmetic dentistry treatments like teeth whitening, bonding, and veneers, our qualified Toms River dentists or dental care specialists can help address your dental care needs.